Today was a day of firsts. 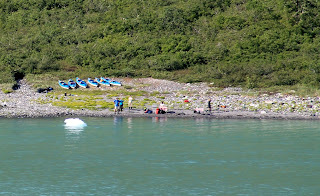 You’d think as many times as we've cruised to Alaska we wouldn't run into anything new. We were surprisingly wrong. The morning started out with the ship heading back into Glacier Bay for another day of glacial sightseeing. But the ship didn't get far before the captain made an announcement. 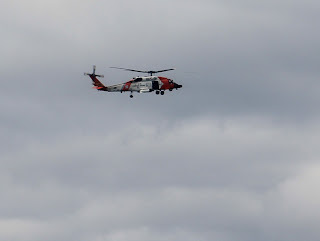 Someone on the ship was ill and required a Coast Guard rescue. 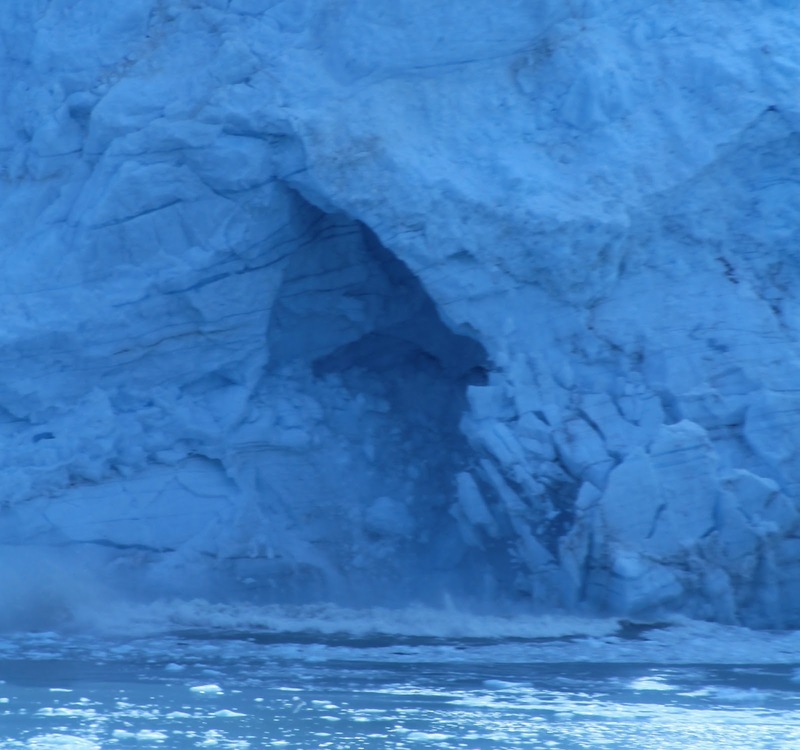 Being we were miles away – this is Alaska - a helicopter was dispatched and we turned around, headed back to the inlet of the bay, and waited for the medevac arrival. 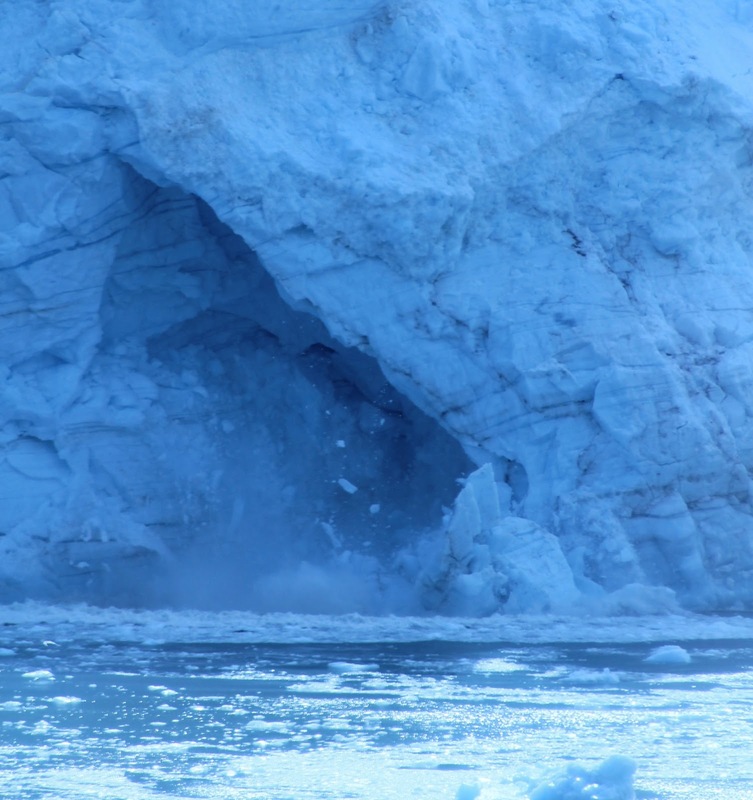 As the estimated time of arrival varied greatly, we were instructed not to forbidden to go out on any of the decks. 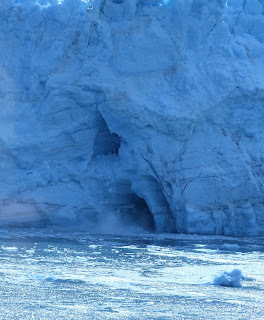 We were essentially sequestered inside the ship. No problem for us, but some folks seemed to get quite huffy about not being allowed outside. Probably because it wound up being three hours before the rescue was finally complete. 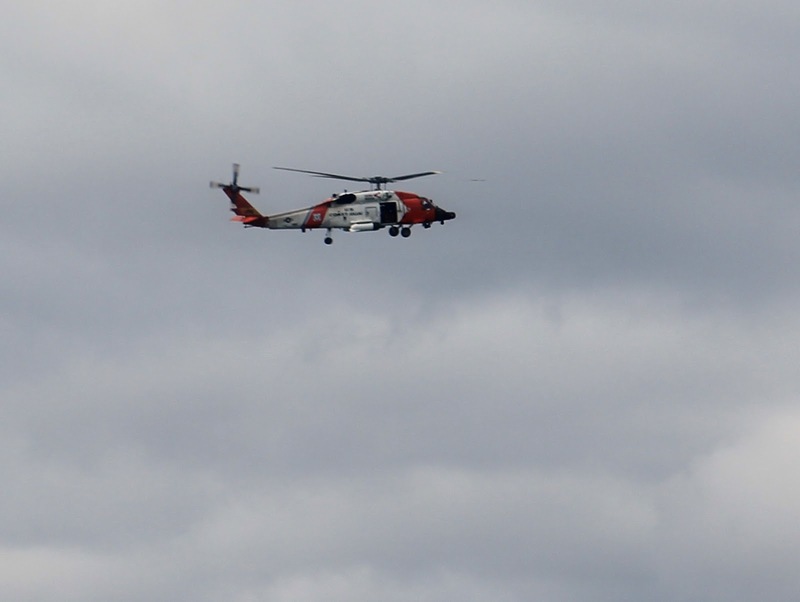 While I didn't see the rescue, the Coast Guard helicopter had to make several passes before positioning itself. 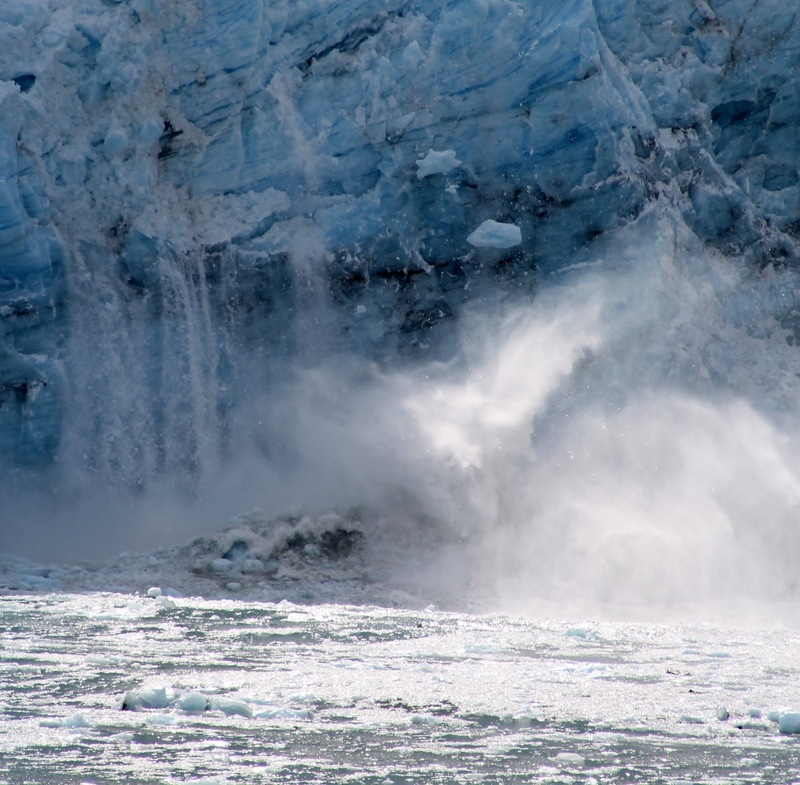 While our trip to the gorgeous Margerie Glacier was delayed three hours it worked out for the best. If it wasn't for the delay, we wouldn't have seen (and felt) what eventually occurred. The weather cleared up. 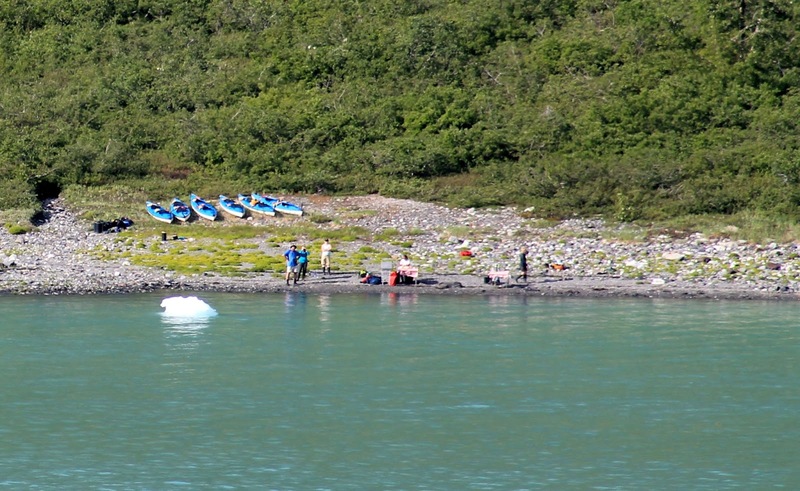 Tenters and kayakers were around (a first for us to see in Glacier Bay). 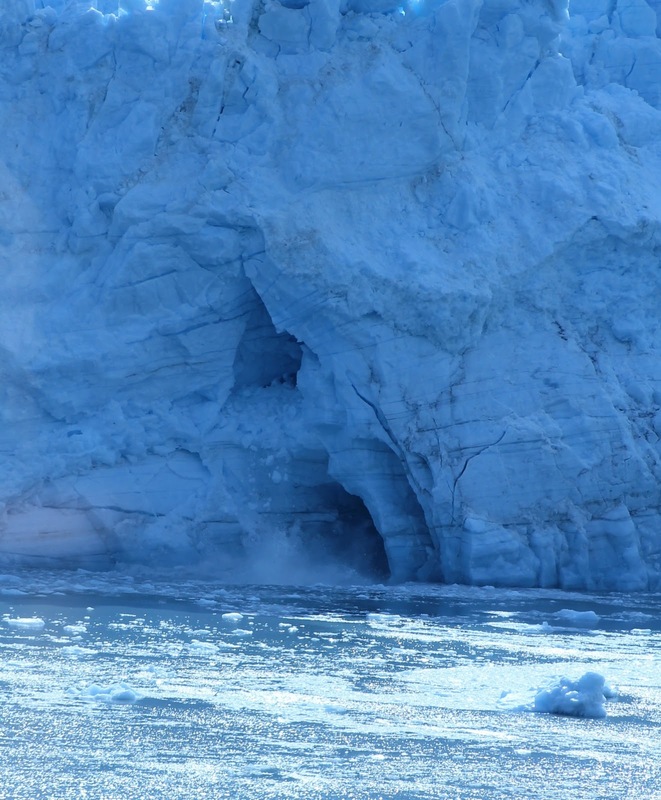 The glacier was in rare form. Sunny skies? Check. Multiple calvings? Check. The first time we've ever seen so many in one visit. Look at this big calving, frame by frame. Before it started there were two tunnels. Not afterwards. Then, a really big first. 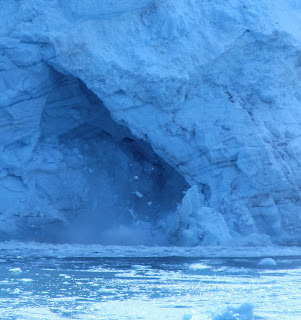 A huge collapse caused a huge wave (you can see it in the picture). That huge wave – someone called it a tsunami-looking wave – headed to the ship. 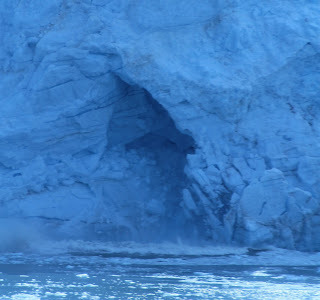 And for the first time ever for us in Glacier Bay a calving glacier caused our ship to rock sideways. A strange feeling. How do you top that? 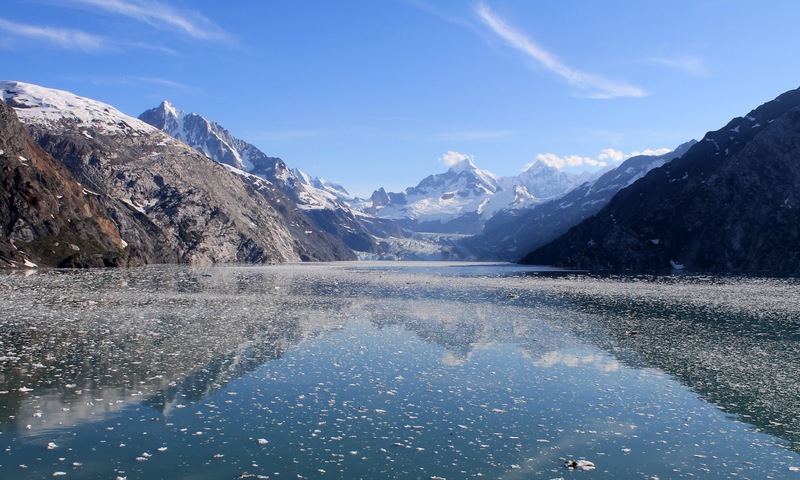 How about visiting the Johns Hopkins Glacier and capturing the magnificence of Glacier Bay. Like I said before, if you haven’t been YOU MUST GO.